Herbarium specimens and samples collected on this year’s Bush Blitz expedition to Lake Torrens are currently being processed. Now that they have been fully dried, pressed specimens will be mounted on acid free paper and silica gel dried leaves for future DNA analyses are stored away safely. Participants of the 2016 Bush Blitz expedition to Lake Torrens. Photo: Bush Blitz. 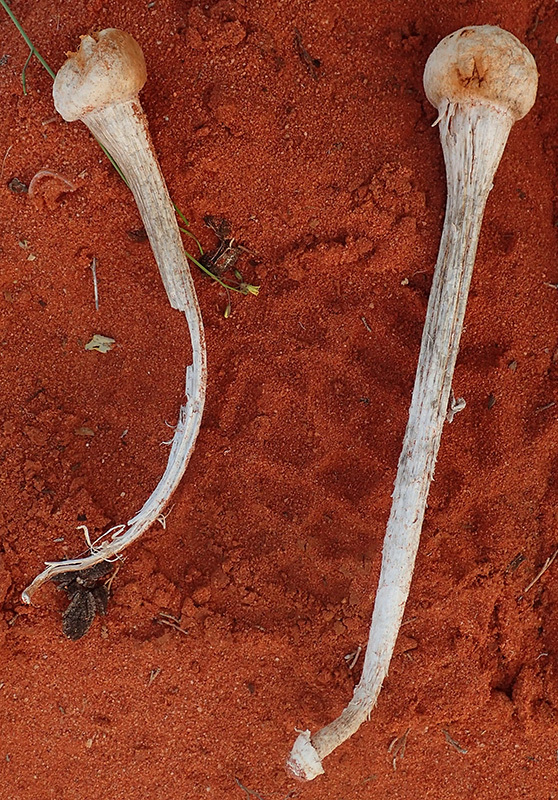 Two specimens of a rarely-collected arid fungus (Chlamydopus sp.). Photo: Teresa Lebel. Collected about 10 species of arid macro-fungi. This entry was posted in News on 11 October, 2016 by Jürgen.